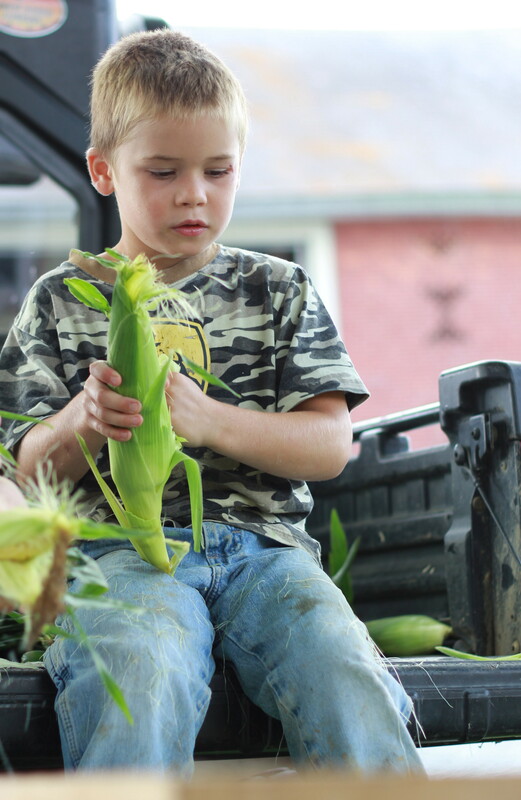 The men get the fun job of picking it 🙂 Then on to the husking.. 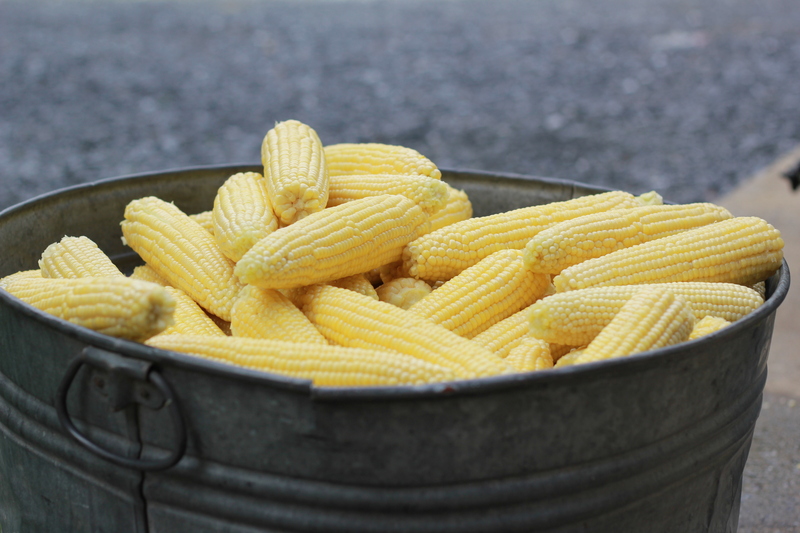 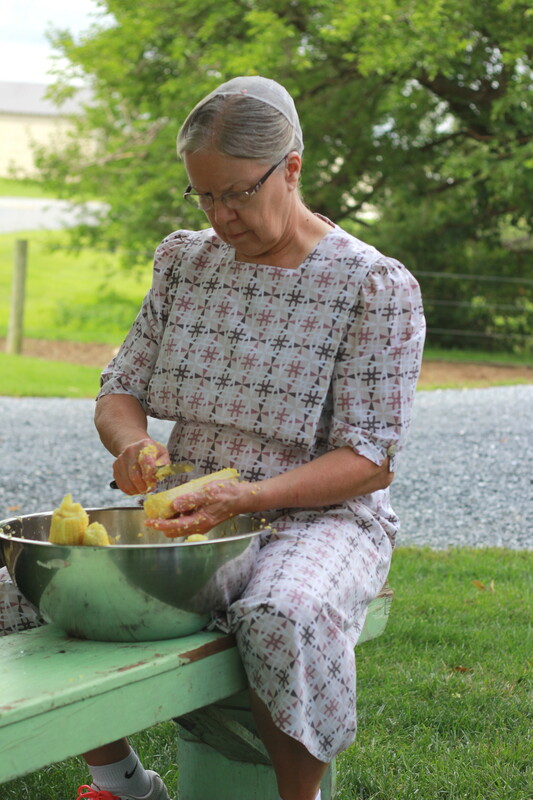 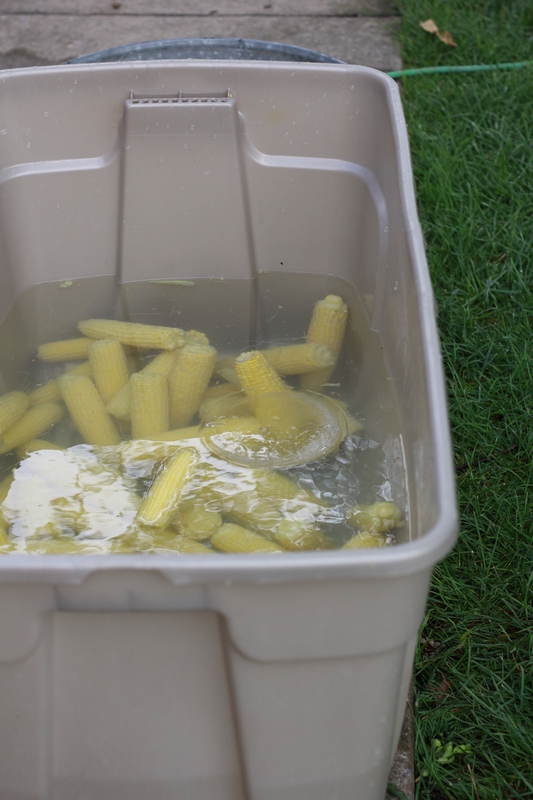 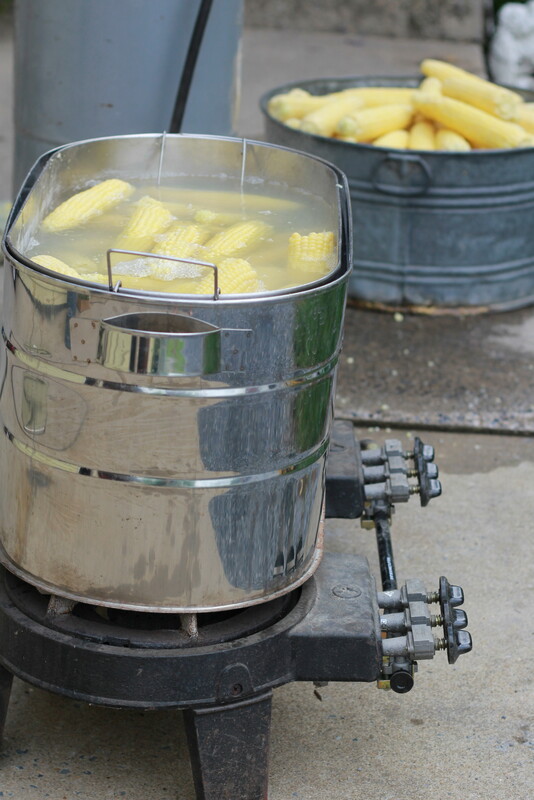 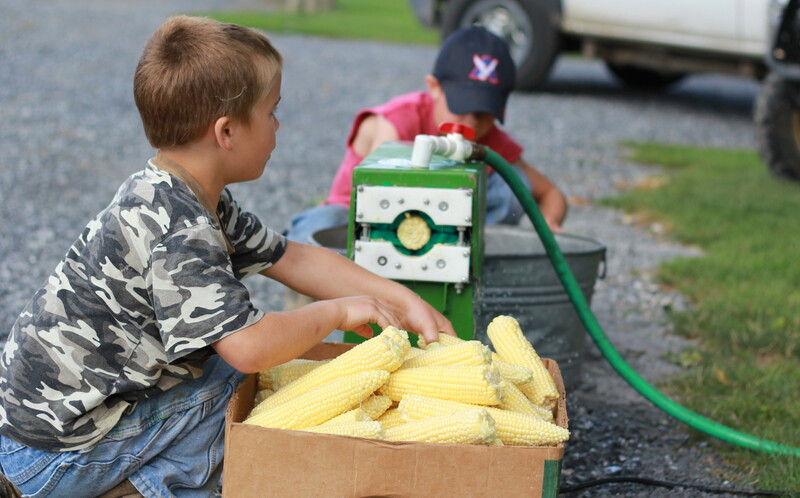 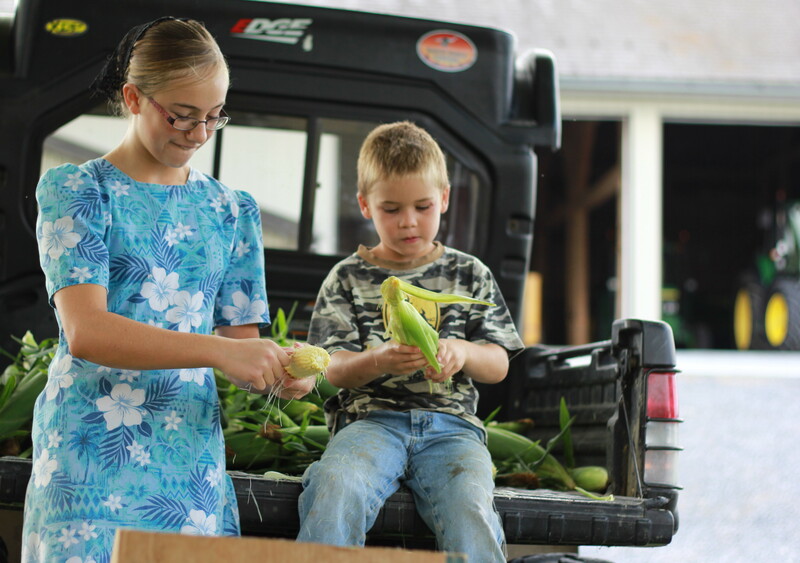 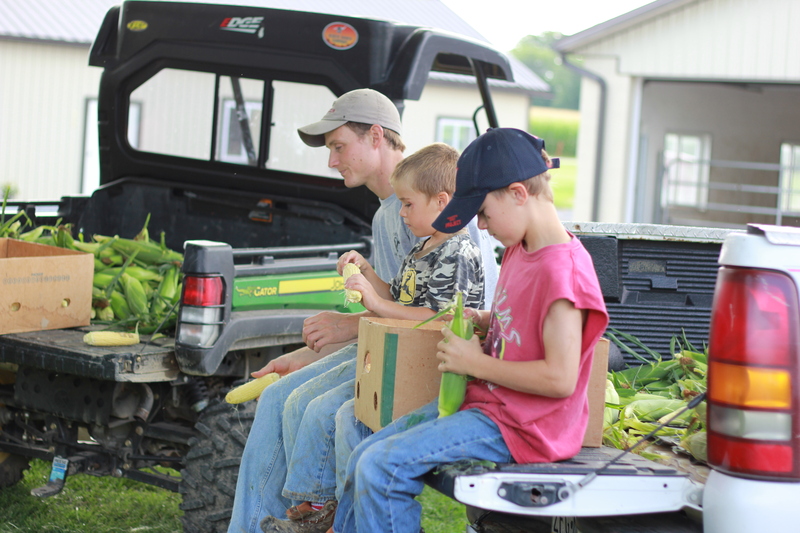 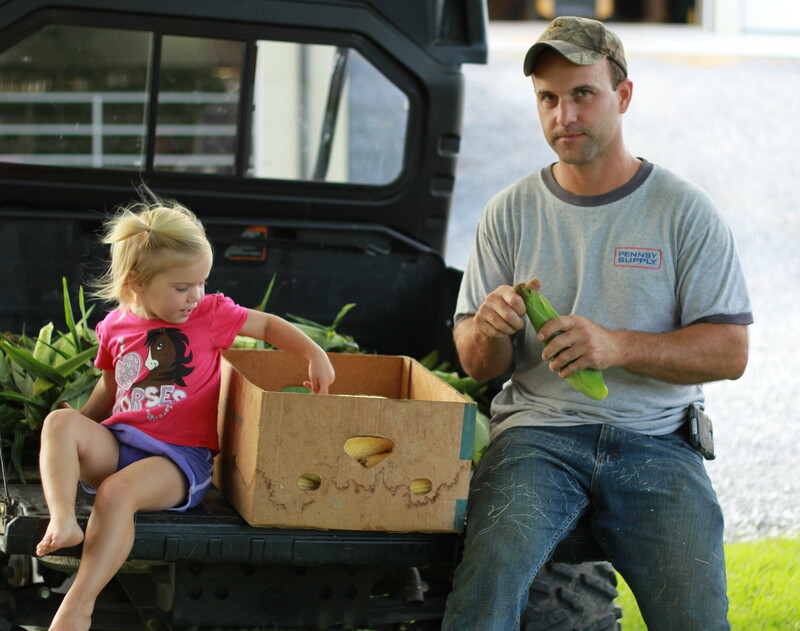 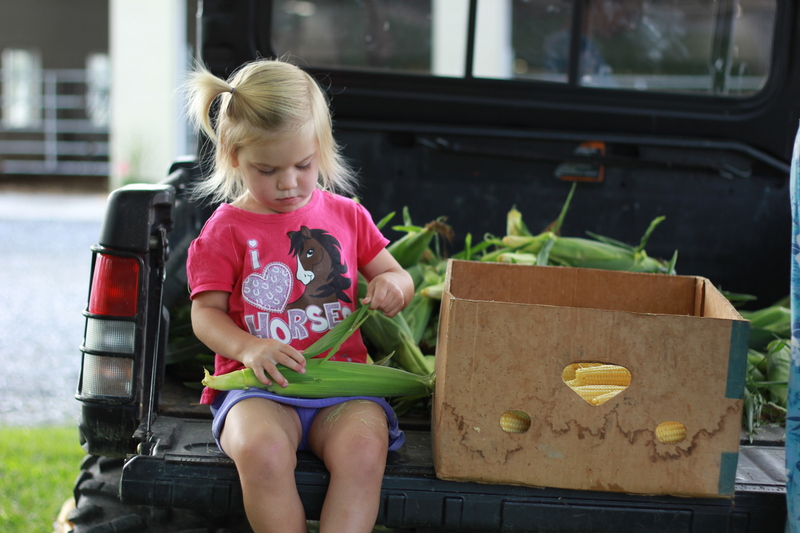 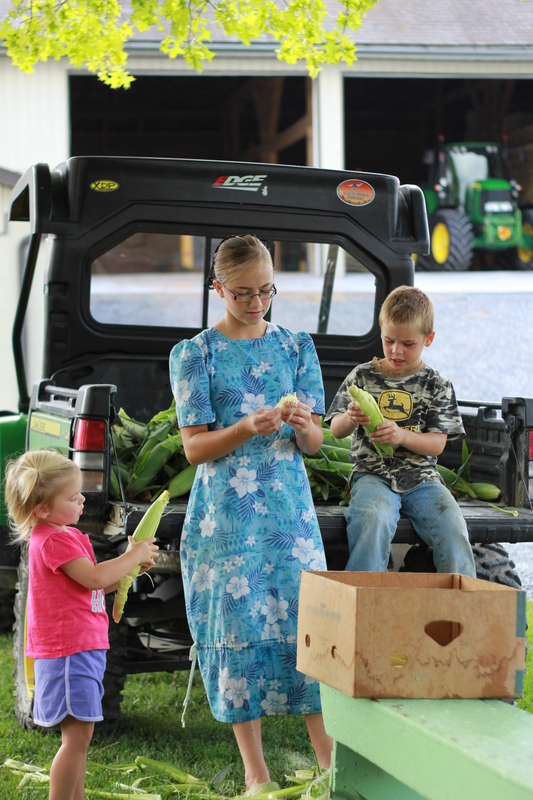 The children usually feed the corn through the silker.. Ready to cook… Cooling and cutting Mom’s hands always seem to fly when she’s cutting corn 🙂 The eating happens all throughout the day 🙂 There is usually a few wanting an ear as soon as the first tub is through. 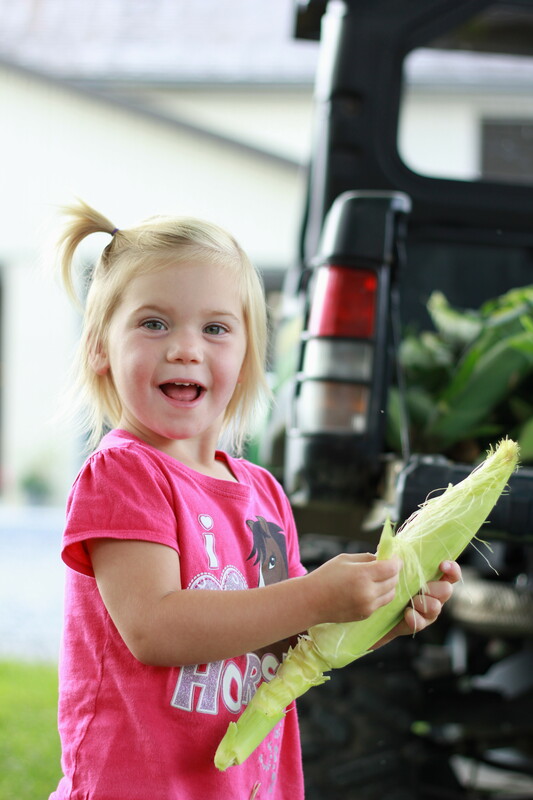 Then more corn at lunch, and fingers trying to snitch it while we’re cutting 🙂 While I enjoy doing corn, I’m glad that it’s in the freezer!